The first man to row solo across the Atlantic has a new goal: To do it again in a whale-shaped boat that he built himself. 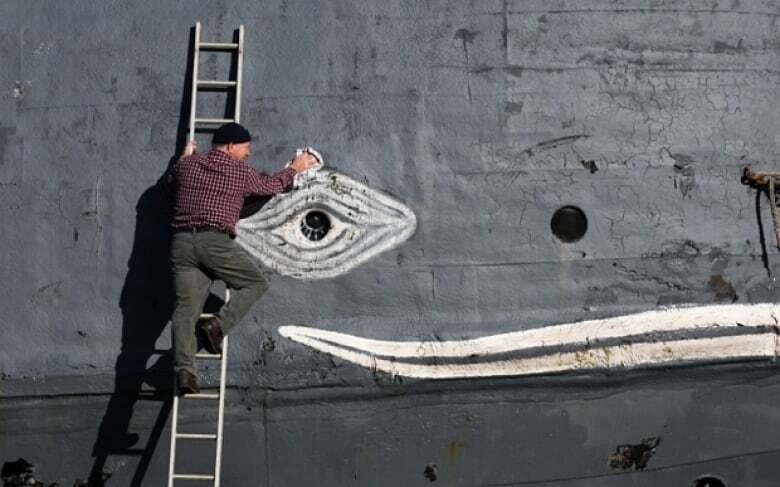 73-year-old British adventurer Tom McClean has built a 20-metre steel boat in the shape of a whale and he plans to sail it across the Atlantic to St. John's, N.L. next year. 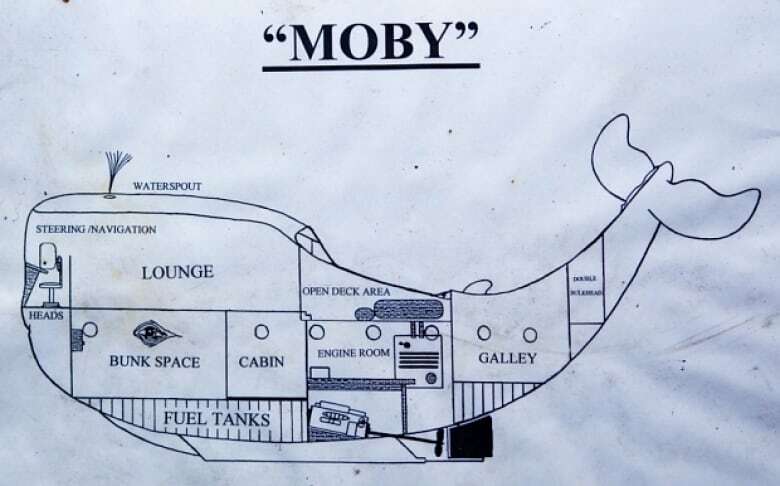 "Moby" is in the shape of a sperm whale. It has painted eyes and will eventually be able to shoot water from its blowhole. "We are putting a compressor off the engine and she'll spout just like a whale!" McClean tells As It Happens host Carol Off. McClean first built "Moby" 20 years ago. The adventurer was the first man to row solo across the Atlantic from St. John's to Ireland. Over the decades, he crossed the Atlantic five times. He also captured the record for sailing the smallest boat across the Atlantic. After someone beat his record, he claimed it back by taking a chainsaw to his boat, cutting off two feet, and sailing the Atlantic again. 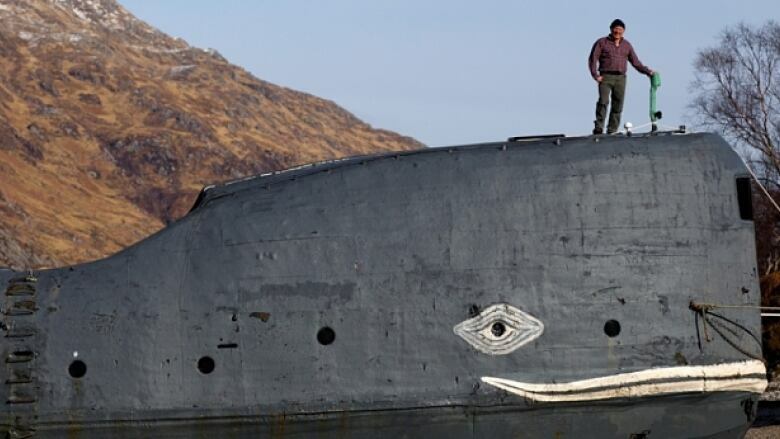 The former British SAS trooper is quick to point out the safety of the whale-shaped boat, "she's very seaworthy. I've been all around the U.K. with her, visiting 56 harbours!" 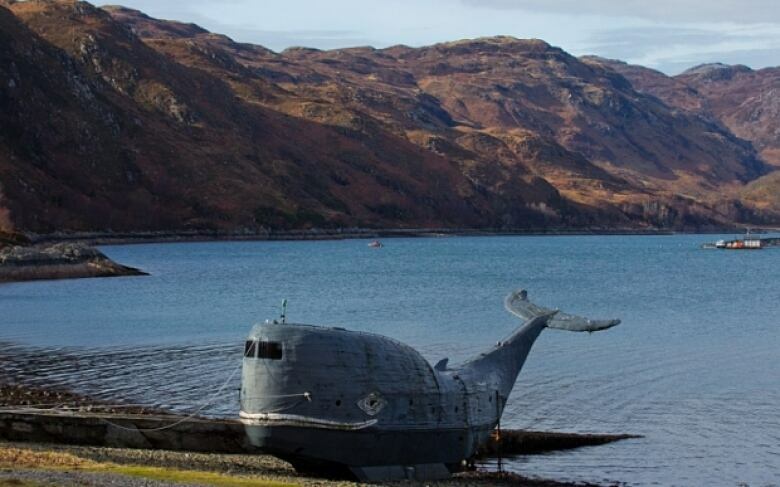 Over the years, many calls to the coast guard have come in when McClean's boat is spotted by locals, "quite often people will report they've seen a whale, they think it may be dead," McClean says, "we've had loads of reports like that, all around the U.K."
The boat is currently landlocked in Scotland waiting for a spring tide to make it float again. The adventurer still has some obstacles to overcome before he sets sail for North America. 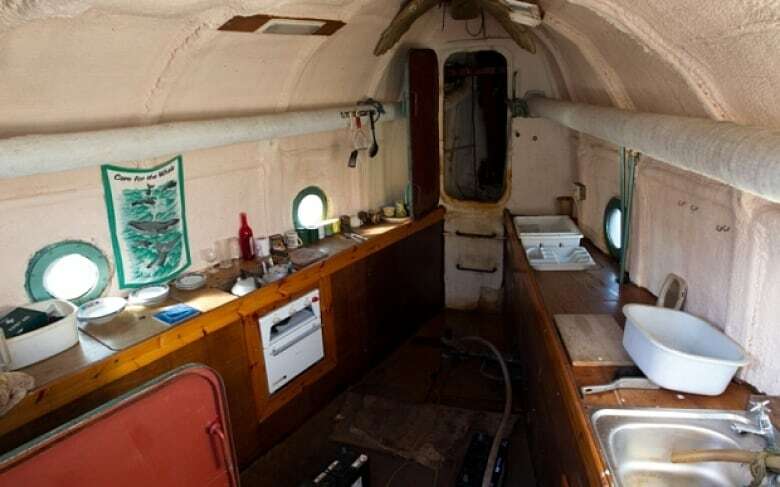 The boat needs a refit, which McClean plans to do this year. McClean has said in the past he would like to swap out Moby's diesel engines for electric ones, and perhaps be part of an environmental campaign. "We're looking for a company that can get good PR out of it and be part of the whole project." says McClean. McClean says he wants to sail "Moby" to the Azores and then cross the Atlantic, ending up in St. John's, where he first set off to claim his record almost four decades ago, "I'm really looking forward to be up there once again with all my friends in St. John's!"